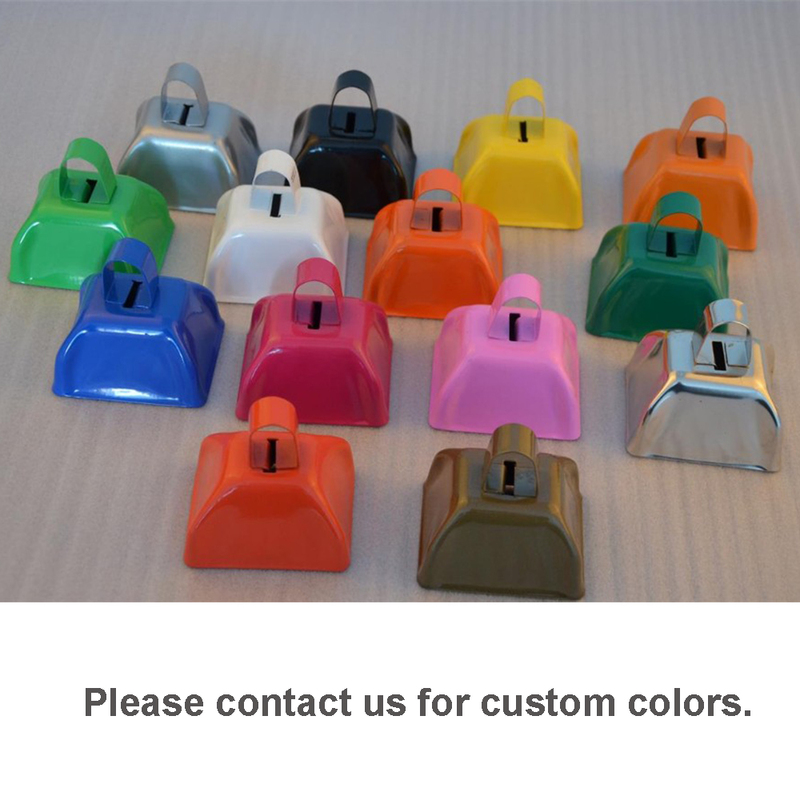 Handheld 3-inch Cowbells are designed for cheering at sporting events, for using at public markets, weddings, classrooms, or for use in agriculture. Come with a small handle for portability and convenient usage when outdoors. Cheer for your favorite team the loudest, help spread your public message more clearly. 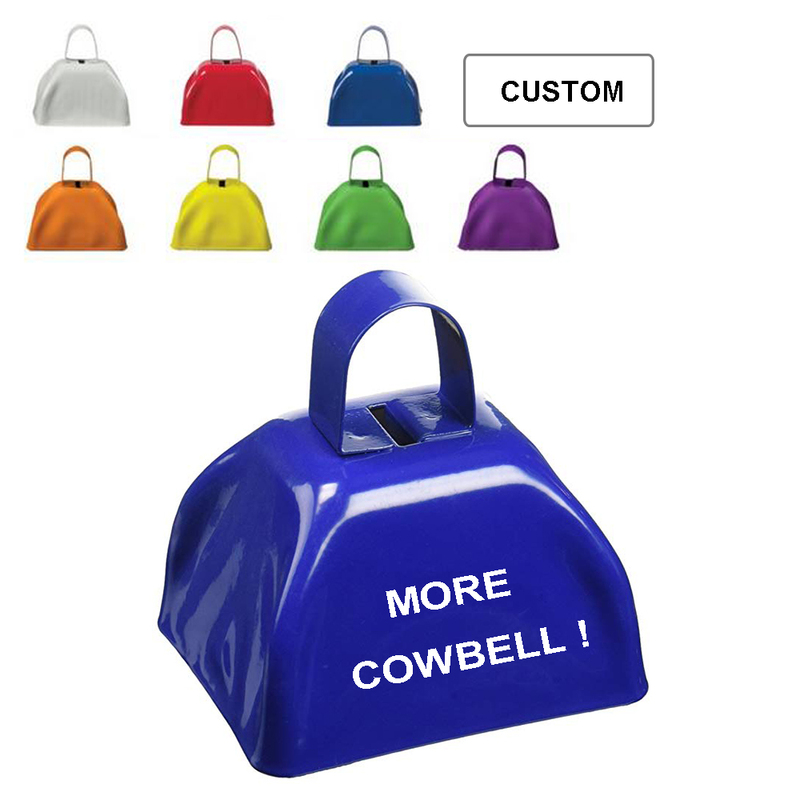 These cowbells can come in handy in emergency situations where a cellphone might not be available, for example, when dealing with a seriously injured neighbor or friend in a rural area. Logo can be customized.